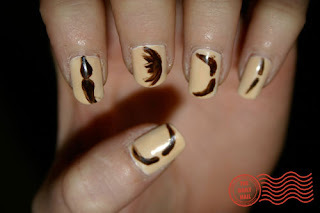 Today's nails are inspired by the fur above some (awesome) men's lips. So many iconic mustaches over the years... Dali's, Einstein's, Selleck's. 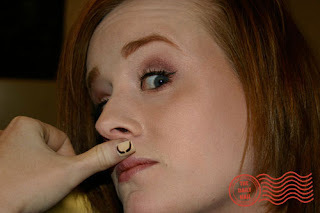 ;) Today, I tip my proverbial hat to those men amazing enough to sport a 'stache. I did all different mustaches today, from the 'fu' to the 'Dali' to the 'pornstache'. There are even the Einstein, Selleck, and 'trucker' for you to peruse... I've even done my best impression of the iconic Dali portrait. That is so creative; I love it! I stumbled upon your blog and you have really pretty designs! Check out my Etsy for nail canes for nail art. I'm crazy about doing my own nail polish too and I found out about these nail canes, hence why I now sell them on Etsy! Happy Movember - mens health awareness month! You paint your nails so well!! Absolutely brilliant. I'm really enjoying all your art work. Hope you don't run out of ideas! I shouldn't curse you like that. I know you'll have 365 gorgeous nail designs. 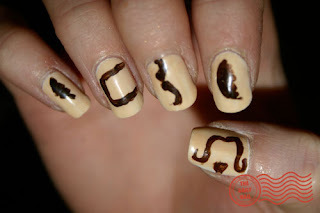 The nails are great but i cannot see the whole pattern from these pictures. Still great post. Very much creative .Thanks for suggesting.. This is a fascinating way to look at schedules. I would like to see this analysis done with further distinction by color differentiating between bowl games, conference games, and independent/out-of-conference games.